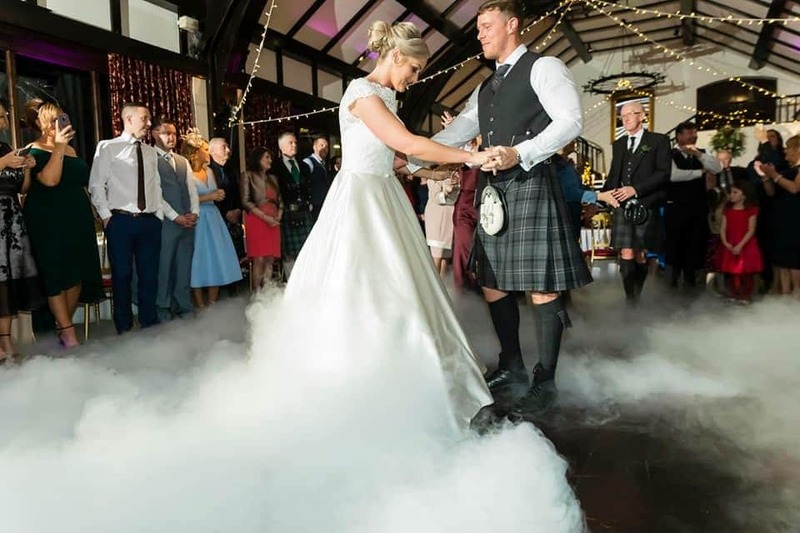 We have the perfect effect that will make your first dance one that your guests will remember for many years to come, our beautiful effect, Dancing on the Clouds. This is a fantastic photo opportunity which will amaze your guests. 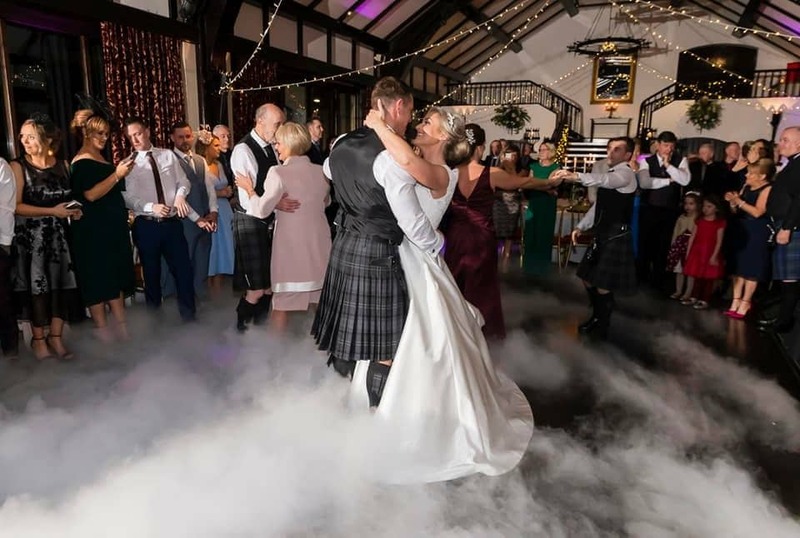 The “Dancing on the Clouds” effect is mainly suited for your first dance and creates the same effect that you will see on popular TV programmes such as X-Factor, Britain’s Got Talent and even Top of the Pops. The cloud is created using real dry ice, not low lying fog fluid or ice cubes. The clouds last for the duration of your song, the effect will be talked about all evening but the memories of you Dancing on the Clouds will last a lifetime. *Please note that some venues may be reluctant for this safe and harmless effect to be used at your event. This is NOT a smoke machine and the plumes consist of frozen co2 gas (the gas we breathe out). Due to its nature, it stays close to the ground and anything above knee level evaporates immediately. This means that smoke detectors/fire alarms WILL NOT be effected. We will be more than happy to speak with your wedding venue regarding this effect. 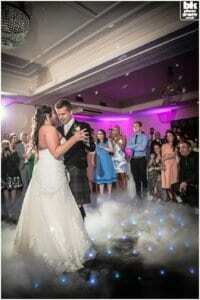 "We have seen the Dancing on the Clouds effect many times when we watched X-Factor, BGT or Top of the Pops and never imagined it would feature at our wedding. We were so happy to have Fresh Entertainments come along and provide this stunning effect at our special day and it made our first dance photographs absolutely amazing! Our wedding coordinator wasn't sure that it would be that great as it may have set off their fire alarms. This was not an issue due to Fresh using real dry ice and not just smoke. I can honestly say that the first dance could not have looked any more stunning than it was. I would thoroughly recommend you hire this if you are thinking of it!"